The quantitative section of the GMAT can be very difficult. Given that many business schools now accept the GRE, students can choose between the two tests. And, most test prep experts suggest that, if you aren’t a math person, you should consider the GRE. In fact, we wrote a blog article about whether you should take the GRE or the GMAT where we too make the point that, relatively speaking, the quantitative section of the GMAT is difficult. Furthermore, we’ve noticed that many folks who consider themselves “math” people but who also have generally solid educational backgrounds find that they do much better on GMAT verbal than on GMAT quant. For example, my undergraduate degree is in Finance and I was in the highest level of mathematics offered at my large, public high school, but was in a normal level of English. Yet I scored in the 99th percentile on GMAT verbal and 75th percentile on GMAT quant. Many of our most impressive tutors seem to have a similar story. Basically, we’ve noticed that if you are a well-educated and well-read native English speaker, your chances of doing well on GMAT verbal are very good. But, we’ve noticed that, having what appears to be a strong quantitative background doesn’t necessary mean you’ll do that well on GMAT quant. We believe there’s a relatively simple reason for this – while the math concepts tested on the GMAT don’t get into calculus or anything that advanced, they can still be tricky. The GMAT tests your understanding of things like number theory, and abstraction (i.e., turning a scenario into an algebra equation), and if you haven’t taken a math class recently, you are going to struggle. Furthermore, if you don’t ensure you re-learn the core concepts (i.e., not just tips and tricks) that are repeatedly tested on the exam well, you’ll struggle. And finally, time is an issue on the GMAT. So, you must have confidence, and work quickly. If you know your stuff but lack confidence, you’ll probably still not do very well. That said, in the above article we referenced earlier about the GRE vs. the GMAT, we also mention that focused effort on building core math skills in several key areas will greatly benefit you on both tests – you can prepare and do well with practice. Continuously reviewing problems you miss is key. Make sure you re-do every problem that you miss, and make you understand why you missed it. If you continually miss the same types of problems or don’t understand why you’re getting them wrong, seek help. 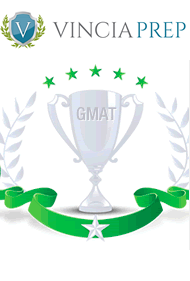 Buy the GMAT Club tests. The problems in these tests are all hard and get people thinking on the next level before they take the real thing. To deal with the time element of the GMAT, you must get good at mental math. When it comes to mental math - prime factor every number you see, calculate your tip by hand, and check out mathfactcafe.com. Definition: A prime number is a positive integer greater than 1 which is only divisible by itself and 1. For example, 2, 3, 5, 7, and 11 are prime numbers. The integer x is even: x = 2n where n is an integer. The integer x is odd: x = 2n+1 where n is an integer. For more information, ideas, and advice about the GMAT, visit MyGuru’s GMAT tutoring page on our web-site. Good luck preparing for the GMAT. Mark Skoskiewicz is the founder of MyGuru, a boutique provider of 1-1 tutoring and test prep in Chicago, Boston, New York, Minneapolis, and online. He holds a B.S. in Business from Indiana University, where he was in the Business Honors Program and received additional minor degrees in Philosophy and History. He also holds an MBA from Northwestern University’s Kellogg School of Management. Before founding MyGuru, Mark spent almost a decade working for a boutique strategy consulting firm.